Trying to improve your company’s online marketing presence can be challenging; however, Property Management SEO can help you achieve your goals. The following is a brief list of easy ways you can increase SEO for Property Management Companies. Having quality content can drive customers to your website. It is the number one driver of search engine rankings, so why not do it? There is simply no other substitute for excellent content. Make sure that the content is created specifically for your website and designed to attract your target audience. 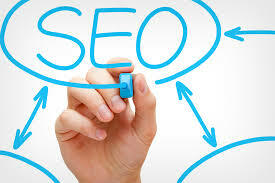 This will help increase site traffic, which can also improve the relevancy and authority of your website. One way of ensuring relevant content is created and found is by simply identifying a keyword or phrase for each page. In order to figure out what your keywords or phrases should be thinking about how prospective customers might search for that page. For a property management company phrases such as “available listings” might be good to use. Remember to never sacrifice good writing for SEO. The best pages are those that are not written for the search engine, but for the user instead. 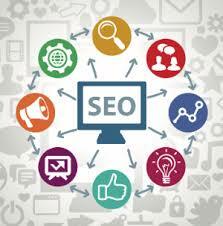 Search engines respond best to content and this means that you will have to update the content regularly. This is for the simple fact that search engines view updated content as one of the best indicators of your website’s relevancy. Title Metadata is responsible for displaying the page titles at the top of browser windows. This is the most important metadata on your page. Description Metadata is the textual description that a browser uses in your page search. This is akin to your website’s window display. You should make sure that this is concise and appealing. Keyword Metadata is search phrases that people type when looking for your page. Include a variety of phrases in order to maximize site hits. Usually 6-8 phrases with 1-4 words each is sufficient. Create relevant links within text. Try to avoid “click here” links and instead write out the name of the destination. There is no search engine value to “click here” beyond the fact that there is a URL attached to it. On the other hand, if you type out the destination such as “available listings in Michigan” it is much richer with keywords. This will improve your search engine rankings and the ranking of the page you are linking to. Make sure that when you use photos and videos that you use alt tags (alternative text descriptions). This will allow search engines to locate your page as search engines bots (spiders) are only able to locate pages based on text.